A long time ago when the city was moved upwards, the Airtrain model was offset to reflect the change. Using a regular Airtrain model would cause it to sink into the ground when taxiing. Also, III handles taxiing aircraft slightly differently from VC because the airport ground has variable height in III as opposed to constant height in VC, so having a constant offset is not correct everywhere. 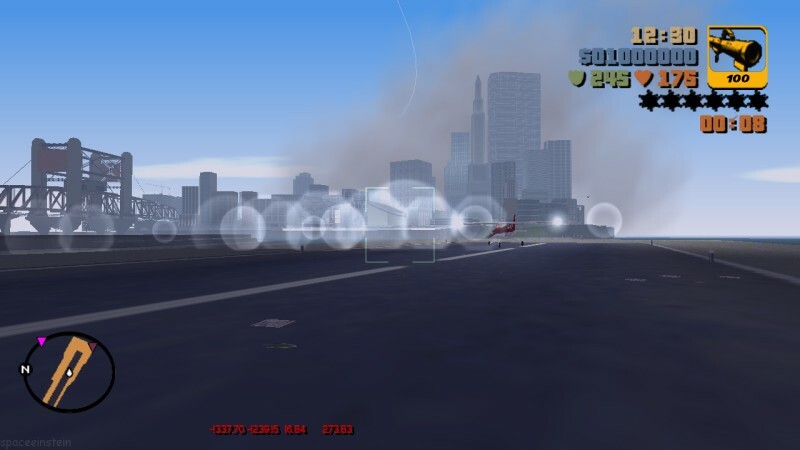 This update allows an unmodified Airtrain model to be used and allows aircraft to taxi on variable ground. Can you tell me where this change is done ? in .scm or in dinput8.dll? The variable height detection is in dinput8.dll. LCS should have this code eventually. It doesn't matter if the engine is more like VC, LCS uses the exact same airport as III. My code doesn't add 6 units to the Airtrain's path, it places the Airtrain directly on top of the ground. You won't notice it in LCS. Why should this be an issue at all? Surya can easily omit any changes I make. Awesome update. It's so cool to see some of those decades old bugs finally getting solved properly instead of just working around them like we did back then. And I looked up a bit of Surya's posts as I hadn't heard that name before. I'm impressed by what I have seen so far. Redid the pause menu map with better quality textures. Yakuza Stinger engine noise fixed (reference). Pickup blips in "A Drop in the Ocean" are removed when you fail the mission. Until even as recently as a week ago I thought this task was beyond my capabilities. I'm starting to wonder if anything between III and VC is beyond your abilities. When starting a submission in III like Firefighter, a big blue message is shown on the screen for some amount of time. But in LC, it disappears much too quickly because of the call to opcode 054C. This update fixes that issue. 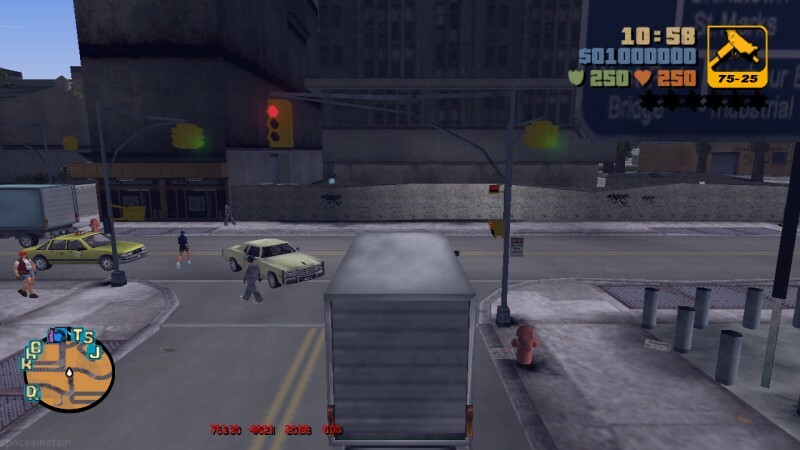 Liberty City Stories' Taxi Driver submission is added for fun. 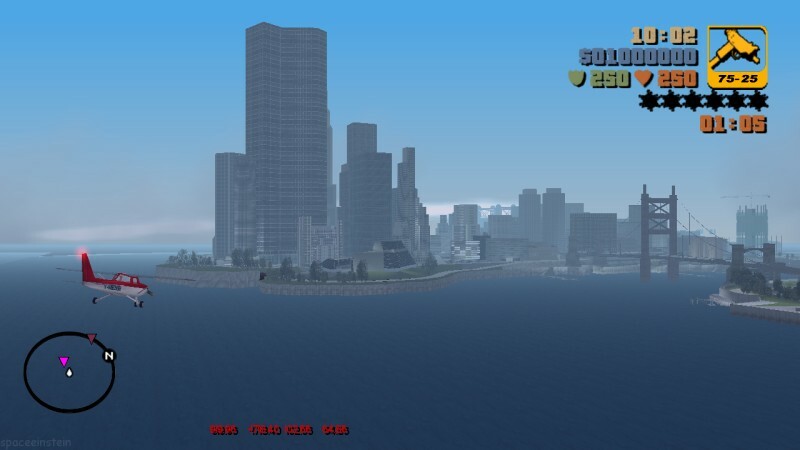 To try it out, open gta-lc.ini, find ViceCity=0 and change it to ViceCity=1. I've included the source code for the SCM. NOTE: Change is done on a latest released GXT from Spaceeinstein. 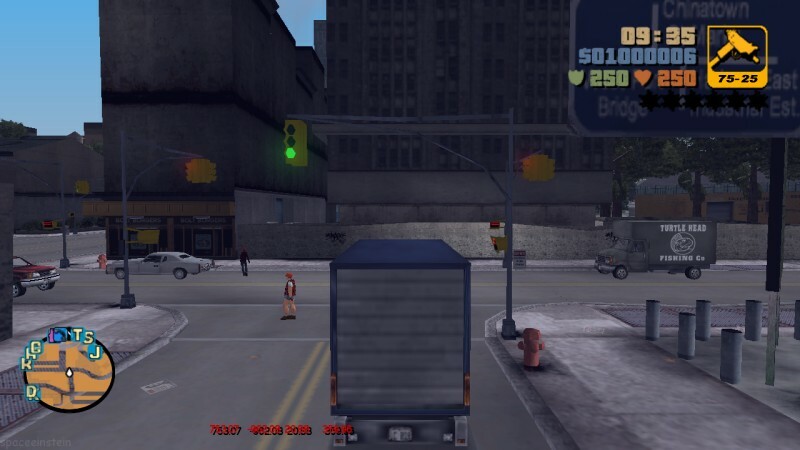 If there are any more things in GXT that are not same as in GTA 3 i might release more of those GXT updates. NOTE: Change is done on a latest released GTX from Spaceeinstein. If there are any more things in GTX that are not same as in GTA 3 i might release more of those GTX updates. 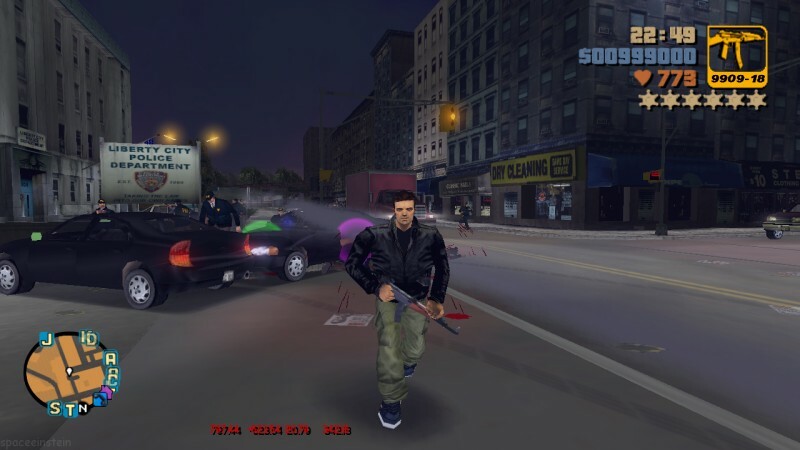 @spaceeinstein It would be good if we could choose between GTA III Vigilante and Firefighter and their VC/SA/LCS counterparts. The change to F_FAIL1 was intentional. 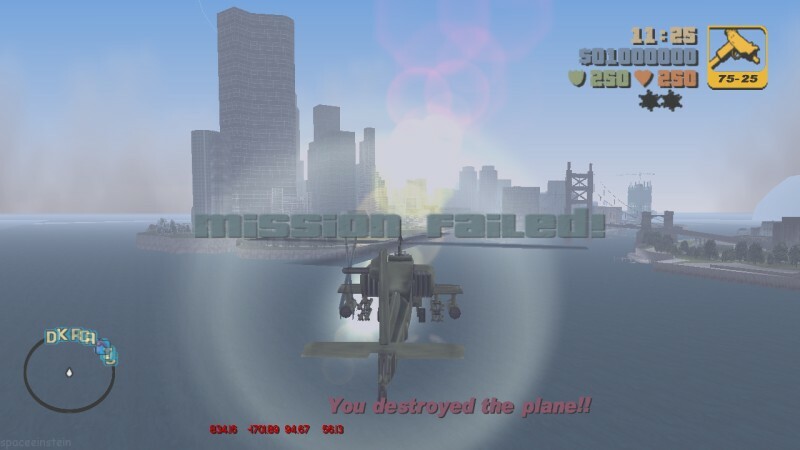 When you end the mission, F_CANC says "Fire Fighter mission cancelled!" but "F_FAIL1" says "Fire Truck mission ended.". Vice City fixed that inconsistency so I kept that fix. Ooh, can we have Trash Dash from LCS too? LET PEOPLE DO THEIR WORK! You constantly nagging for this and that isn't going to encourage anyone to want to do things, just comes across as pushy. Weapon ammo count for all pickups should be correct. They include regular ones dotted around the city, Ammu-Nation ones, and drops from dead peds. 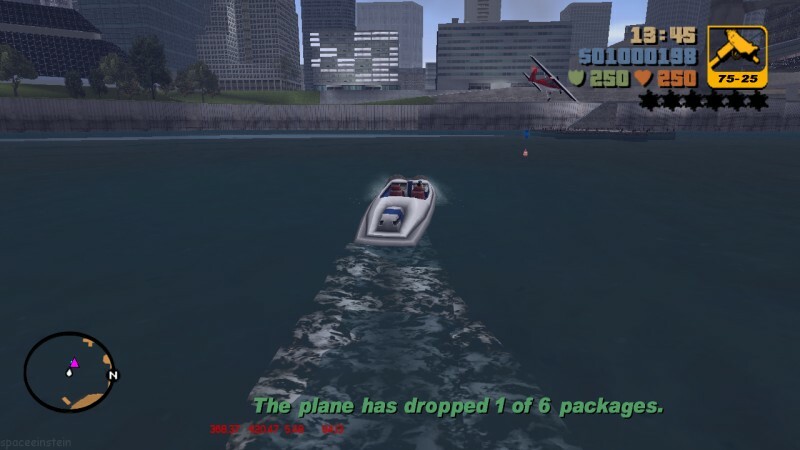 Vice City has some behavior that differs from III. AK47 and M16 crouch fire rate fixed. Shotgun fire and crouch fire animation timings less wonky. Opcodes 00BD (PRINT_SOON) and 02FE (PRINT_WITH_2_NUMBERS_SOON) now work. I added 01E6 (PRINT_WITH_NUMBER_SOON) for when AS2_12A is displayed. Use lc_environmentmap.dat if you don't want certain vehicles to have III's environment map. Place the vehicle's model index number on each line. Pickups at hideouts have consistent vertical positions. They no longer look sunk into ground. EDIT: Fixed link in the quote above. Changing the date in the URL from 2017-07-26 to 2017-07-27 made the download work. I fixed the link. You shouldn't quote a post containing a broken link. Important! Delete Mss32Hooked.dll if it exists! Silent's mss32.dll hacks are fully integrated into dinput8.dll. You no longer need Mss32Hooked.dll. The Ruger is replaced with the AK-47 and the MP5 is restored. This required wide-ranging changes so bugs may arise from this update. Nice one. 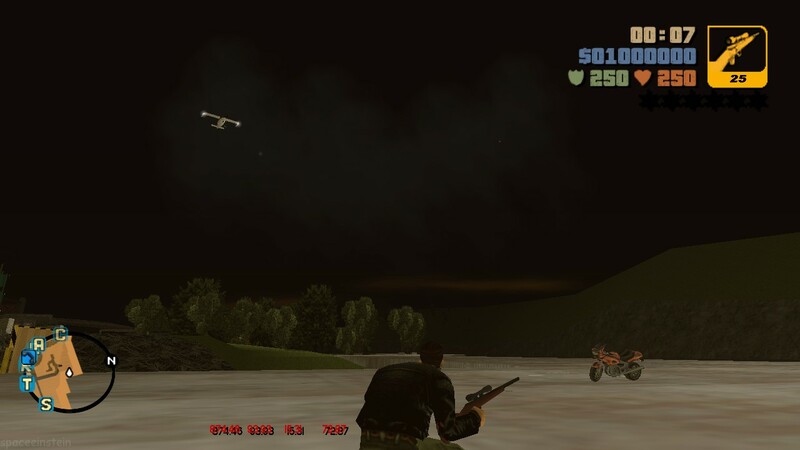 I still hope to see the MP5 return with its model and sound and spawn at Shoreside safehouse. The chrome shotgun's shooting animation was broken too. A lazy workaround would be to use the stubby shotgun's animation, it looks decent enough for me. Important! Delete Mss32Hooked.dll and gta-lc.asi if they exist! 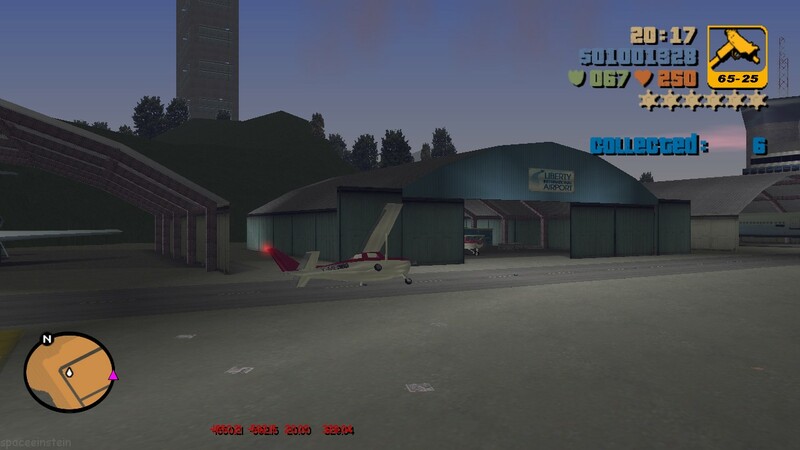 gta-lc.asi hacks partially integrated. You no longer need that file. Navigation zones and garage doors have been reimplemented and better this time but the exception handler hasn't been transitioned yet. All coordinate blip colors now use the correct colors. 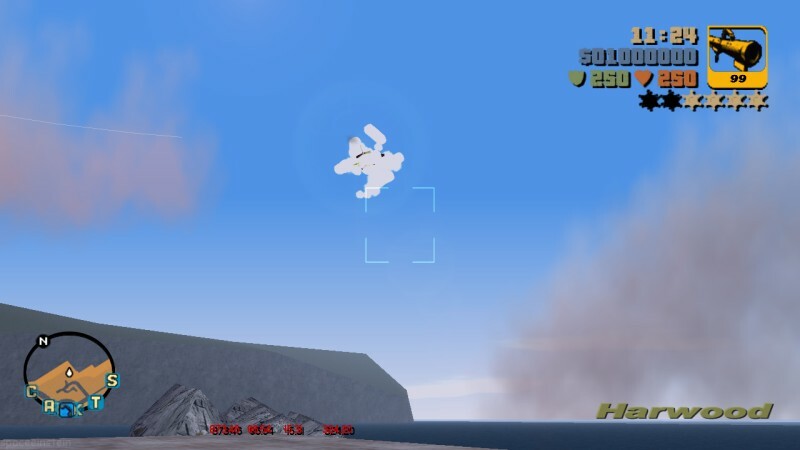 Removed pickup markers in "A Drop in the Ocean"; they didn't appear in original mission. Added 035B (CREATE_FLOATING_PACKAGE) and 0218 (PRINT_WITH_NUMBER_BIG_Q). Experimental opaque water. This may or may not be included in the next version depending on its stability. In gta-lc.ini, add OpaqueWater=0 under Misc to disable opaque water.